Put simply financial planning is ensuring that you are as well prepared as you can be to meet the financial demands that will face you at different stages of your life. We provide honest expert financial advice in a way that is easy to understand. Every client, big and small, is treated the same; you will be advised on the basis that we are standing in your shoes; We will take the time to ensure you understand your finances and your financial needs. We then help you put a plan in place to protect you, your family, your business into the future. We are not tied to any specific bank, financial institution or product provider. Cathal is a fellow of the ACCA and a Qualified Financial Advisor (QFA) and his experience covers every area of accounting and taxation services. He has almost 30 years experience in Inishowen and was former partner at Carlin McLaughlin, formerly one of the largest accounting practices in the North West. He is a founding partner of McLaughlin McGonigle Accountants and has been involved in the Financial Service industry for over 20 years. Philip is a fellow of the ACCA, and a Qualified Financial Advisor (QFA) and holds a Diploma in Insolvency from Chartered Accountants Ireland. He has held senior positions in the engineering and construction industries in the UK. He is a founding partner of McLaughlin McGonigle Accountants and has over 12 years experience in consulting, finance and financial services, working with individuals, sole traders, small business and larger companies in the North West. With a Masters Degree Msc. in Finance & Investment and over 17 years experience in the financial services industry Joanne began her career in Jersey in the Channel Island working as an Investment Consultant with Deloitte. Returning home in 2004 she has worked with Carlin McLaughlin/ CML Financial and has been working as a consultant with MLMG since 2013. Her area of specialist expertise is in relation to pensions and investments, and her aim is to give clients the knowledge they need to help them make a better financial decisions. 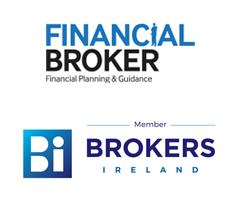 Siobhan has spent more than 24 years in the business and finance sector and qualified as a Financial Advisor 2013. Siobhan provides a customer service role, liaising with providers for and on behalf of clients. She is driven by her passion not just for helping people achieve what is really important to them, but also building up excellent relationships with all our clients, delivering a first class service in a friendly and easy manner. Kara has spent over 20 years working in the Insurance Industry. Kara provides an Administration role within the team. She believes in offering a professional service, ensuring the client’s needs are met to the highest standard. Kara is currently working towards her QFA qualification.